Swarovski worked with Koolhaas to create Luminaire – a dramatic illuminated archway surrounding the entrance to Monditalia, one of three exhibitions that make up the distinguished Dutch architect’s ambitious presentation of this year’s 14th International Architecture Exhibition of la Biennale di Venezia. The majestic structure, resembling a grand stage set, measures six metres in height by 20 metres in length and is made up of thousands of vibrantly coloured glass light bulbs and 15kg of Swarovski crystal rocks, all set on an elaborate wooden framework. Together the crystal and light highlight the traditional Venetian archways, evoking the elaborate Renaissance façades of Venice’s palazzos. 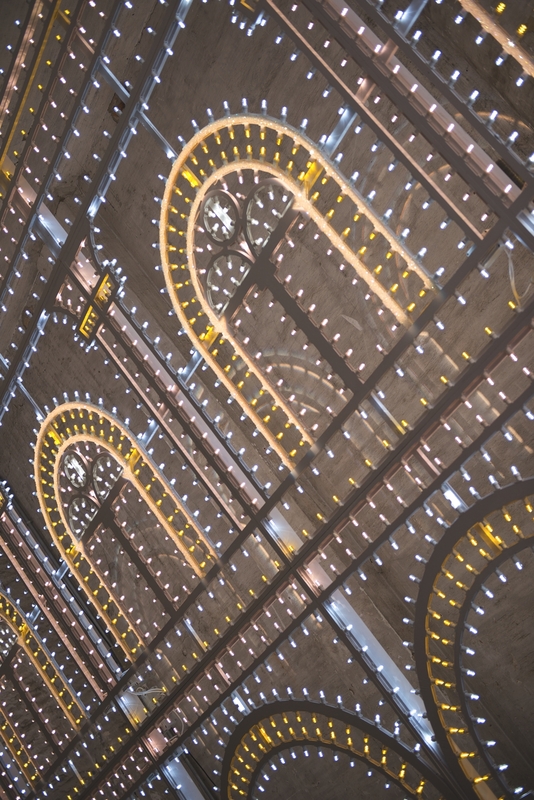 Luminaire also references the grand-scale urban lighting installations that are an integral part of Italian culture, often associated with celebrations and religious feasts, even forming a centrepiece in several of Federico Fellini’s films. 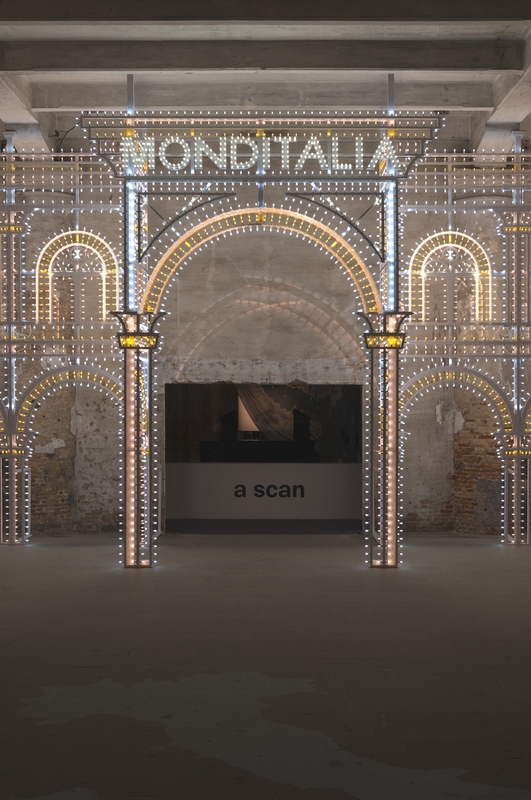 The Luminaire leads visitors into the world of Monditalia, Koolhaas’s storytelling of Italy’s history through its relationship to architecture, ancient and modern. “The topics of Monditalia are the current state of Italy, between treasure and crisis, knowledge and controversies, history and politics,” said Rem Koolhaas, “perfectly introduced by a special entrance gate which we developed with Swarovski.” At its heart there is a huge reproduction of an historic map, which runs through the Arsenale’s long halls to create a literal procession through the country. The displays are paired with a programme of theatre, music, film and dance, all drawn from the directors of la Biennale di Venezia’s festivals.